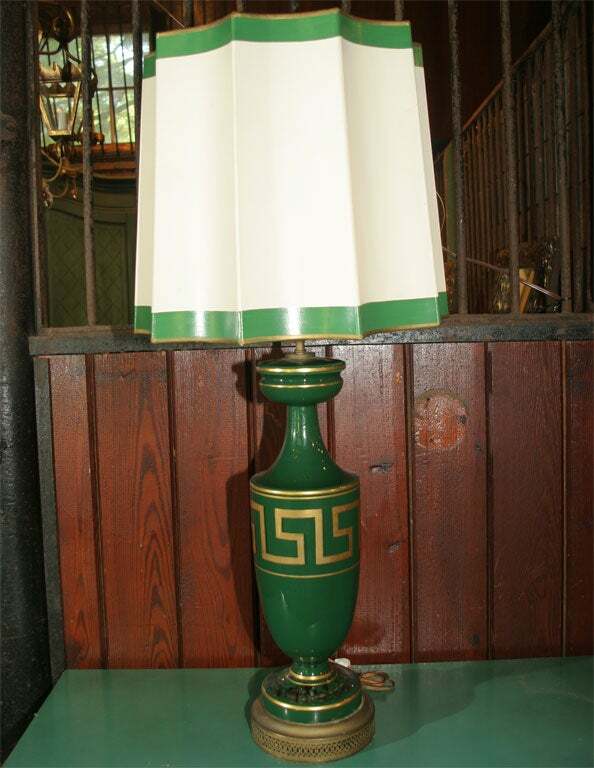 Reversed painted green glass lamp with Greek Key design with original heavy paper fluted shade. 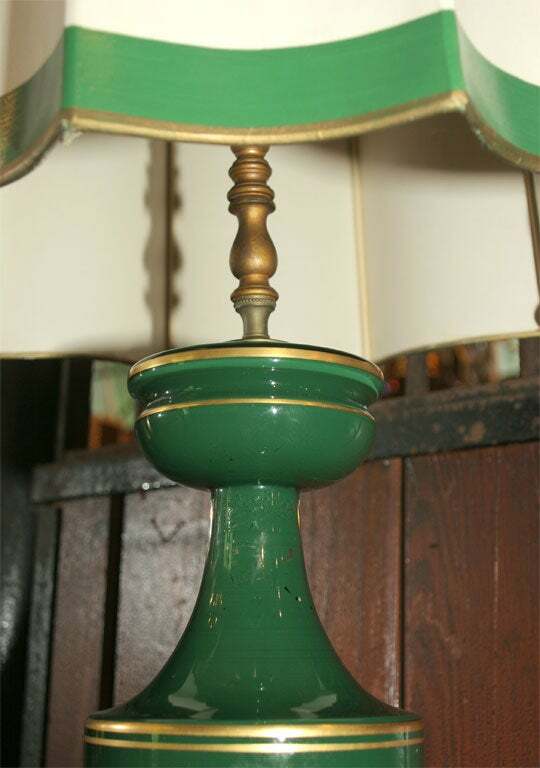 17" diameter shade. 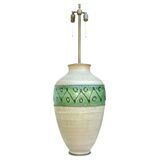 21" high lamp only without stem. 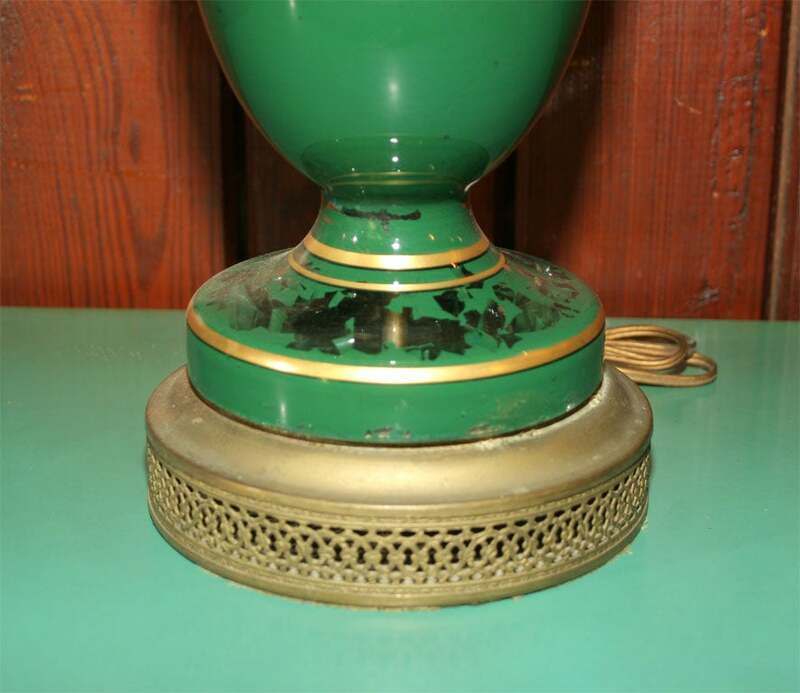 The green interior painted lamp is shedding its paint at the base and at the top of the neck. Shade is in nice shape. 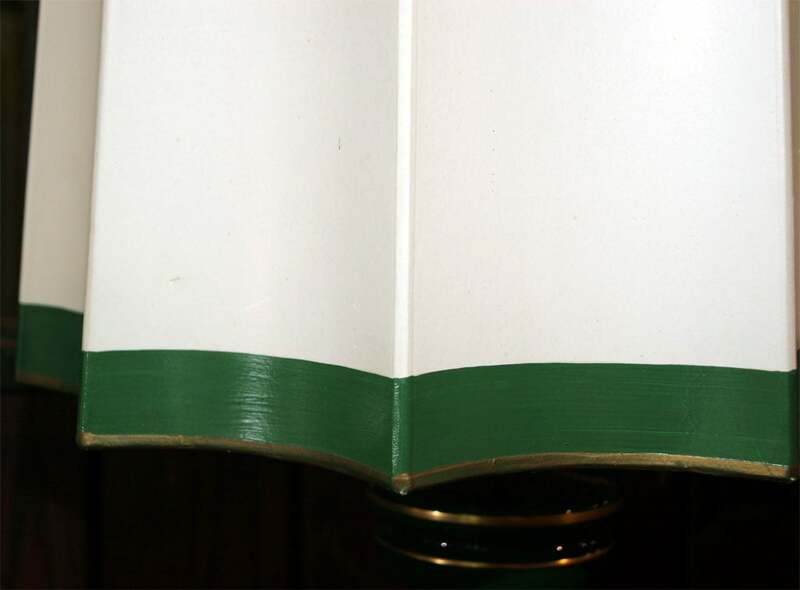 Loss to the green reverse paint at the base. 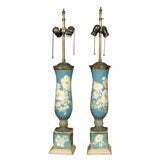 A pair of blue and off, white floral églomisé columnar lamps. 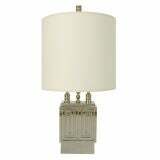 Lamp body without rod is 20" high. 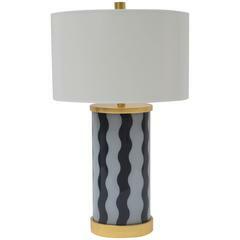 Bleached wood base. Natural pottery with a glazed decorative band. 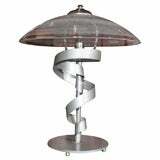 Moderne silver painted desk lamp with glass shade. 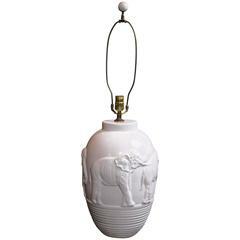 Stylish white ceramic elephant lamp. 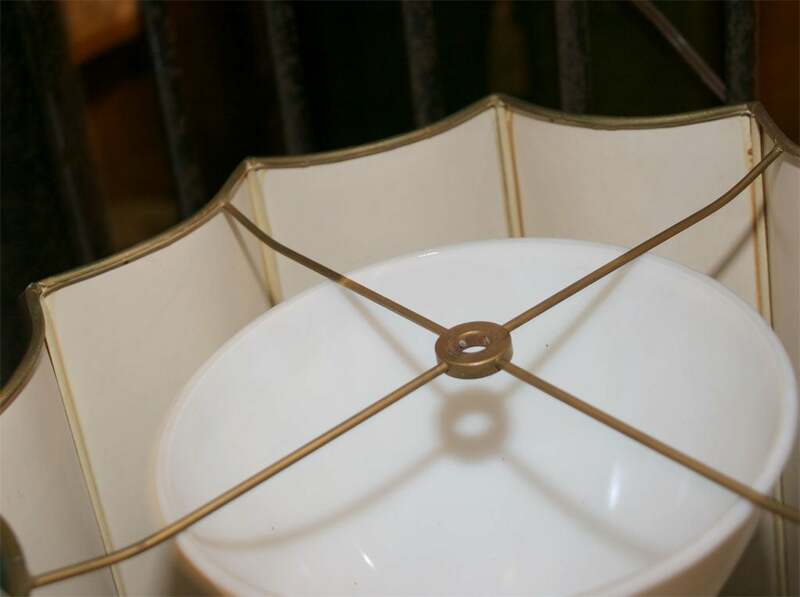 17" high to top of ceramic body. 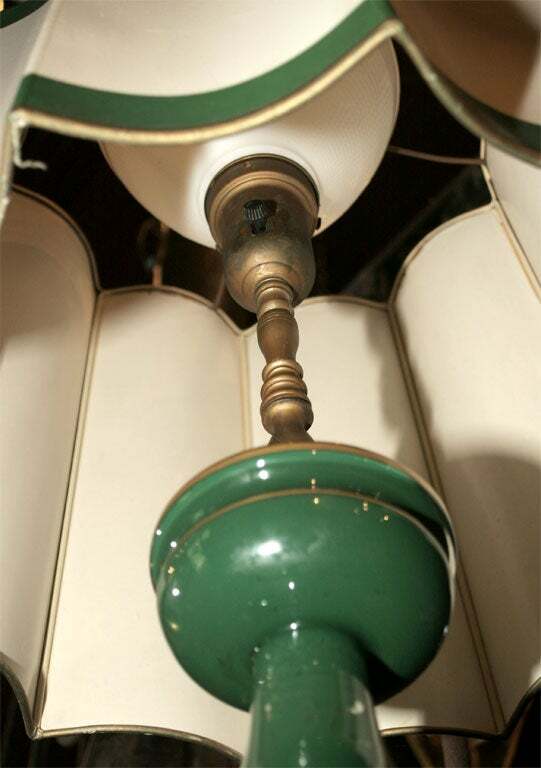 Holds one standard bulb. 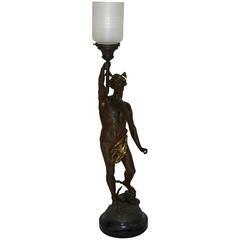 Each lamp measures 34 in to the finial and 26 ½ in to the socket. Recently rewired. 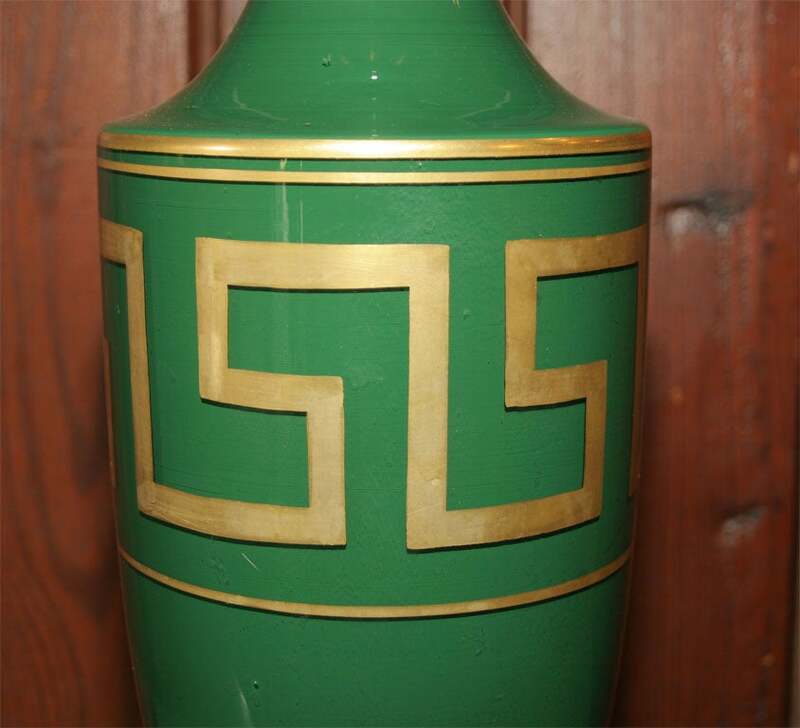 This stylish set of églomisé table lamps date to the 1930s-1940s and are detailed with a gold colored Greek key band on a tobacco brown sponged background. 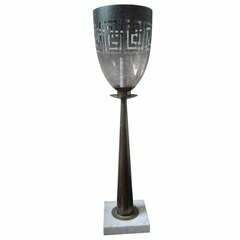 Great Mid-Century table lamp inspired by Tommi Parzinger with marble base and glass hurricane shade with Greek key design, newly wired. 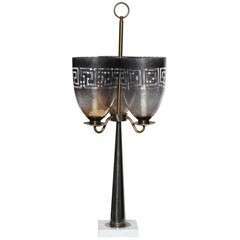 Pair of Greek key stoneware lamps with black shades.